Lauren Rosenberg, a resident of Utah US, was walking on a highway and was unsurprisingly hit by a car. And what does she do? She sues Google for $100,000 because she was simply following walking directions in Google Maps and it told her to walk on the highway. So much for common sense! 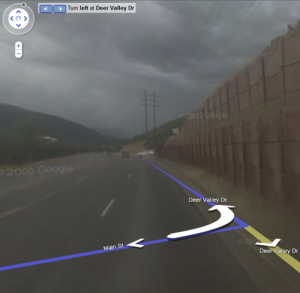 Defendant Google, through its "Google Maps" service provided Plaintiff Lauren Rosenberg with walking directions that led her out onto Deer valley Drive, a.k.a. State Route 224, a rural highway with no sidewalks, and a roadway that exhibits motor vehicles traveling at high speeds, that is not reasonably safe for pedestrians. 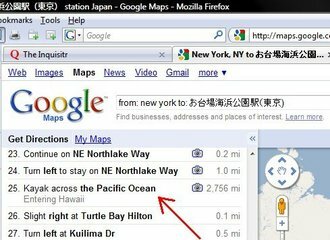 I wonder if she will kayak her way across the Pacific if she sees this one.